The F just shot this our way. Starting with some fantastic short films at 8 pm this Saturday the 14th of November. Weaving together natural history and biography, A LIFE AMONG WHALES is a fascinating exploration into the life and work of whale biologist and activist Roger Payne. Payne’s electrifying discovery in the early 1970s that whales sing “songs” helped ignite the modern day environmental movement. A charismatic and passionate individual, Payne’s pioneering spirit has consistently advanced the boundaries of science and activism over the last four decades. 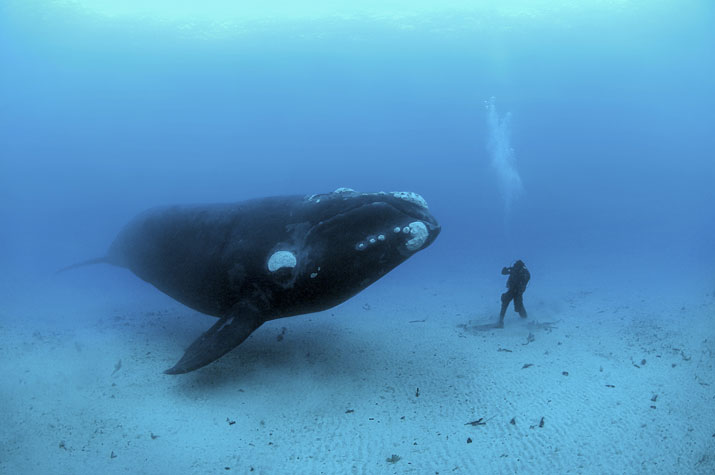 A LIFE AMONG WHALES traces Payne’s scientific research beginning with his early work in Patagonia, where for two years, he, his wife and four young children lived in tents on a remote bay so that they could have unhindered access for the study of Southern Right Whales. It explores Payne’s tireless and passionate fight to ban whaling — a ban which today, 20 years after an international moratorium was imposed is threatened — and follows him to his present day study of ocean pollution and his work with The Ocean Alliance, a non-profit organization and global leader in whale research and conservation which he founded. With beautiful and haunting images, Payne challenges us to become the greatest generation of all. Saving earth’s largest creatures would open the door to humanity’s recognition of our true role in the biosphere. This entry was written by nmavodones, posted on November 11, 2009 at 8:56 pm, filed under Local Music and tagged F, Grant St., Life Among Whales, Roger Payne, The EFFF. Bookmark the permalink. Follow any comments here with the RSS feed for this post. Post a comment or leave a trackback: Trackback URL. Wish we could also go to the screening, would love to see it on a big screen again! !